ST VINCENT and the Grenadines – “Am happy to announce, that by the grace of the Almighty God, I will contest the next general election in the South Central Windward (SCW) constituency, in St Vincent and the Grenadines,” declared former Virgin Islands television personality, Mr Sean Drexel Rose. 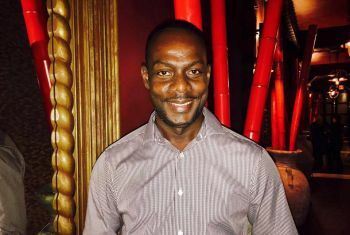 Rose was a very prominent member of the Virgin Islands community for a number of years before returning to his home country earlier this year. “It’s just about 2006 since I have been around and it was a pleasure being here. BVI is a great place but of course some of us have other ambitions,” Mr Rose had told this news site in April. At the time many had no idea what had exactly led to his decision to leave but on July 1, 2016, Mr Rose announced via social media his intentions of running for office in St Vincent and the Grenadines. In his Facebook post, Mr Rose said that over the past weeks he submitted his interest, in writing, to the New Democratic Party (NDP), requesting that he contest the next general elections, when they are called, on the party's ticket. The next general elections of St Vincent and the Grenadines is slated for 2020. 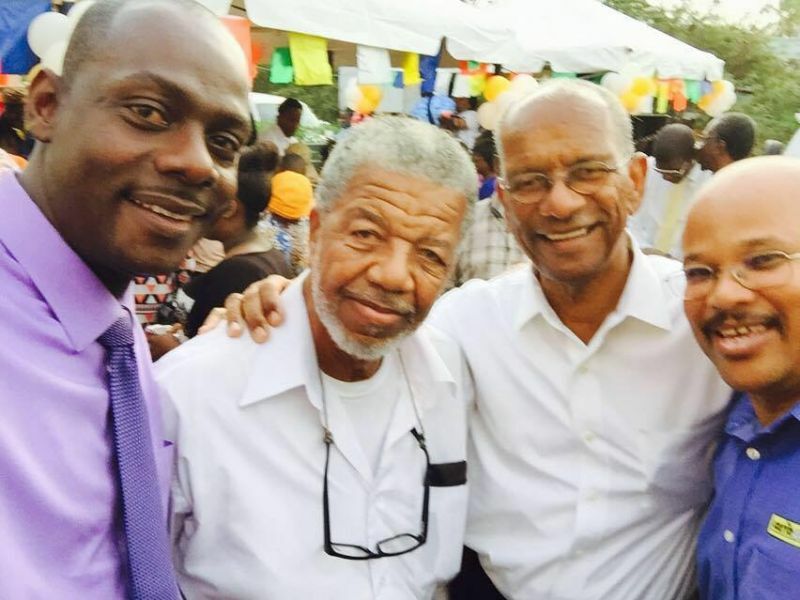 Mr Rose also shared in his Facebook post that he has served as a member, and executive officer of the National NDP-Youth Arm (Young Democrats), and remained a long standing political activist within the NDP. Rose said that he had worked with various candidates, officers and supporters of the party over the years and that his loyalty to the NDP is unshakeable. Virgin Islands News Online reached out to Mr Rose and was afforded an exclusive interview when he explained that he is no stranger to community service. Over the past twenty years he has served in several community groups and organizations before signaling his plans to enter representative politics. From his involvement in the Mt Grenan Sports Club to the Leo Club of St Vincent, to President of the Vincentian Association in the Virgin Islands (British), and later President of the Valley Sound Lions Club. Despite his busy schedule as the lone Journalist at JTV Channel 55 in the VI (British), Mr Rose found time to help re-establish the Vincy Cricket Club and also serve as Public Relations Officer of the BVI Cricket Association. Mr Rose earned recognition as a veteran media practitioner here over the six years he worked in the territory. A few years ago he was baptised at the New Testament Church of God (NTCOG), led by Bishop Ishmael Charles, and later married to his wife Noriece Price, at the NTCOG in February of 2016. But he recalls his years of struggle, trying to establish himself as a self-reliant entrepreneur, a period he believes was dogged by stereotypes over his well-kept dreadlocks and his passionate stance on a vegetarian diet and views on pan-Africanism. Moving from just a young boy shouting - NDP Again and Again in the 1989 general elections, when the Sir James Mitchell led party historically won all 15 electoral seats, Mr Rose was integrally involved in the 1998, 2001, and subsequent elections, even while pursuing Communication Studies at the University of the West Indies, Mona Campus, Jamaica. While in Jamaica, he served as President of the Vincentian Students’ Association (VINSA). He also went beyond the confines of the Mona Campus to serve as a Public Relations Officer for the Morris Meadows Community, St Catherine, Jamaica. According to Mr Rose, “A few years ago I helped draft a constituency development plan. After years of conversations and discussion among relatives and well-wishers, I have decided to step forward to let the people express, publicly, how they feel about my desire to see the ushering in of a new era of politics in SVG. “We need all hands on deck to achieve food and job security, lower levels of crime and other social ills. We need more candidates who can help our people speak with one voice, as best and as often as we can. We need to move past the politics of division, debt, death and destruction and reposition our people to work as one nation to achieve economic stability and general improvement in the standard of living of all Vincentians. This, we believe is The Way Forward,” Mr Rose said. Sean will do great things man with vision ! @ Ummmm same thing I saying, one thing I know vincentians are like elephants they do not forget. Good for you young man; may the forces be with you. He is starting early which is a good sign, that means he is serious. Some people decide today for tomorrow to run for politics. Rasta Blessings and Guidance.. The People were looking for a Rasta, Only Rasta can Can save the people... You are such a wise guy, the right soul. why did u do that, right Soul, why did u turn back? . Weeks before your departure from the BVI, you and I spoke briefly but I had no clue of your desire/intention. Great move and I could only wish you and your family all the best. Congrats! Go for it my friend you will always have the critics on your back whether it be for the good or bad, dont mind them just be you and and be true to yourself. Continue to trust God and he will see you thru. You may be surprise at the outcome as we all often wish for the best for our various countries no matter what the circumstances.